"A dancer is not just a dancer. She is a part of this environment. She does not exist in a vacuum. Society and its happenings have an impact on all individuals, specially artistes. If an art form does not reflect the existing milieu, it stagnates." Sonal Mansingh took to dance at a time when it still had not gained respectability as a profession. According to her, prejudices still exist. Even though a dancer was called names like 'nautch girl', she did not pay heed to such snide remarks. She grew up in a family, which emphasized through their living, the values of the free Indian spirit. Her mother Poornima Pakvasa was very artistic minded and her unconventional grandfather Mangaldas Pakvasa, a freedom fighter, believed in the equality of women. He was one of the first five Indian governors and from a very young age, state guests like Ravi Shankar Shukla, O P Mishra, Uday Shankar and M S Subbalakshmi frequented her home. He instilled in her, timeless values that she still cherishes today and encouraged her artistic talents, which she wanted to use to serve the cause of culture with dignity through dance. Sonal learnt Bharatanatyam from Prof. U S Krishna Rao and Chandrabhaga Devi at Bangalore besides taking lessons from other gurus and teachers belonging to the Pandanallur school. She performed her arangetram at Mumbai where her grandfather was Governor and took to dance professionally from 1962 onwards. When prominent artistes recognized her talents, her family realized how serious she was about her dance and Sonal took further training from Jayalakshmi Alva in Mumbai. At an art festival, she met her first husband Lalit Mansingh, whose family was based in Orissa. His father Dr.Mayadhar Mansingh was a great educationist who took Sonal to Odissi guru Kelucharan Mohapatra in Cuttack and thus started her training in Odissi from 1965. Lalit Mansingh was posted in Geneva and after 2 years, she returned to Delhi to pursue her art. As the gap between them widened, they agreed mutually to part ways. Her training in Odissi took place when Odissi was being reconstructed and her guru taught her most of the numbers, now in the Odissi repertoire, to her. She extended the horizons of this form; studying various strands of Oriyan culture and allied performing arts traditions like Chhau from Guru Anant Charansai and Pala Sangeet. She furthered her education under the late Shri Jiwan Pani. Sonal has also received training in Hindustani classical vocal music from Prof. K.G. Ginge, Bombay and Carnatic classical vocal music from Sri Venkataraman, New Delhi. She has undergone special training in Abhinaya from Late Mylapore Gouriammal and special training in Kuchipudi under Guru Vempati Chinna Satyam in the late 60’s at Madras. As someone who is proficient in Sanskrit (she has Degrees "Praveen" and "Kovid" in Sanskrit from Bharatiya Vidya Bhavan) and German (She has a B.A. (Hon) in German Literature from Elphinstone College, Bombay), Sonal firmly believes that dancers must have love for literature, poetry, languages, sculpture, painting et al. Dance, as she puts it, is after all, "a rare confluence of all these arts." Sonal Mansingh has been on stage since 1961. Her role as a social activist, thinker, researcher, orator, choreographer and teacher combines admirably with her dancing. In 1977 she founded the Delhi based CENTRE FOR INDIAN CLASSICAL DANCES (CICD) which has produced scores of stage productions and trained many students, some of whom have earned critical acclaim already. Jiwan Pani, one of the leading poets and lyricists in Oriya and a distinguished scholar of Indian aesthetics and performing arts, had been associated from the beginning with the institution, acting as a guide to Sonal Mansingh in all her dance presentations from 1974 onwards. With his help, she was able to build up a completely authentic and new repertoire of Odissi dance. It was he, who introduced Sonal to the various living art traditions of Orissa like Paala, Chhau, Sabda – Swara – Paatha and Prahlad Natak. At the peak of her career, she was involved in a serious car accident in 1975 and when the doctors told her she could not dance any more, she did not let that deter her. Her indomitable will brought her to her feet again and with a determined comeback, she continued to set about her goal in using her art as an instrument of social change. At a time, she has only 12 students who are with her the whole day. She takes them to concerts and generally takes care of them. She believes firmly that music and dance must necessarily be part of the school curriculum. She also believes that teachers themselves need to re-orient their art as it involves a continuous process of renewal. In the 80's the Government of India granted the Centre approximately half an acre of prime institutional land in the elegant heart of New Delhi. The construction has started with the rear block in March 2001. A leading exponent of Odissi, the ancient and traditional dance style of Orissa and with a background of decades of training in Bharatanatyam, Chhau (martial dance from Orissa) and Indian music, she has made many original choreographies based on Indian mythology as well as contemporary issues. Her work has embraced both form and content. Lately her work has veered more and more towards issues concerning women, environment, prison reforms and re-interpretation of ancient myths. Through seminars, round table discussions, writings, teachings, workshops and lectures, she shares her perception and concerns. Sonal Mansingh’s choreographic forays in both solo and group format have ranged in style from typical dance items for the Bharatanatyam and Odissi repertoire, looking with an individualistic vision on ancient scriptures such as Draupadi, Kalidasa’s poetry, the Puranas as well as writings in various Indian languages. In a unique experiment, she alternatively danced technical portions of Odissi and Bharatanatyam in the same item. This innovative performer has never failed to reinvent herself - supple and subtle movements have given depth and meaning to her themes. 2001 - Sundari -This Bharatanatyam recital showcases the inherent beauty of the feminine. Though the performance is in classical form, the thought expressed is contempomporary. Dwi Varnaa - blends both Bharatanatyam and Odissi styles of dance and themes in the items. The highpoint is Harihara, a combination of the Khamas varnam from the Bharatanatyam repertoire dedicated to Shiva (Hara), and the depiction of verses from the Gita Govinda dedicated to Krishna (Hari) in the Odissi style. ‘Alaap’ is a blend of Bharatanatyam’s alarippu and Odissi’s sthayi. 1998 - Manavata (Look within): First time ever, prisoners (life-term) convicts of Tihar Jail were trained and they danced together with Sonal Mansingh and her troupe at Sirifort Auditorium, Delhi, for celebration of International Day of Human Rights in presence of the Prime Minister & Home Minister of India. Sabras - Odissi danced to Hindi film songs, a novel attempt. Samanavaya - Integration of India's Tribal, Urban, Classical, folk dance - music through religious texts danced by cultural troupes - linked by Sonal Mansingh's dance. Yugma Geet - (Song of two) from the tenth Canto of Srimad Bhagvata (the biography of Sri Krishna) and one of the sources of Indian cultural and spiritual philosophy. Gujarati Asmita - Choreographies based on Gujarati mediaeval and modern songs by poets like Narsimh Mehta, Meena Dayaram, Premanand, Rajendra Shah, Harida Viyas etc. Draupadi – her plight when it is decided that she should be ‘shared’ among the five brothers. 1977 to 1993 – Many special items in Odissi and Bharatanatyam for students. Love poems from Gatha-Satha-Saptashati of III century A.D.
1989 - Produced, directed and danced in dance drama Bahubaleeshwara. 1973 - Sita Swayamvaram, Phullwari Prasang from Ramcharit Manas of Tulsi Das. 1962 - Chaturang: A series of songs by Rabindranath Tagore. Sonal Mansingh has danced in most countries of the world, as also extensively within India in all major festivals. Sonal spoke on the "Odissi Dancer And Her Changing Times" in the National Seminar held at the Department of Sociology on the campus of the University of Hyderabad in collaboration with a British ESRC Project on March 14, 2002 in Hyderabad. On the occasion of International Women's Day, she presented a performance as a part of celebrations by All India Women's Education Fund Association and was a panel member on the topic: "Women Empowerment: Turning Dreams into Reality" - a panel discussion held by the Empress Club in conjunction with FICCI Ladies Organisation on 8th March 2002. On 1st March 2002 she presented group choreography in Odissi at the Fourth National Festival of New Choreographies organised by Impresario India at Habitat Centre, New Delhi. She presented a talk on "THE PERFORMING ARTIST'S ENCOUNTER WITH MODERNITY" during the second international colloquium SAUNDARYA on 17-20 February 2002 sponsored by Jawaharlal Nehru University, Delhi and Carleton University, Ottawa, Canada, ICSSR and Sanskriti. She was a Moderator at Panel Discussion on "MUSICAL RENDITION OF GITAGOVINDA” and a Speaker on the topic "THE REFLECTION OF RASAS IN JAYADEVA'S POETRY" and presented an Odissi performance during Jayadeva Utsav 2002 on 14-15 January 2002. In October 2001, she presented a series of five programmes in different cities in Kerala and also performed at the Somnath Festival on 31st October 2001. Undaunted by the horrific events of September 11, 2001 which left her stranded in Chicago with no flights, she proceeded to drive 18 hrs to Atlanta, arriving just minutes before her first performance. Then followed hectic sessions rescheduling the rest of her performances. Between travelling from one to the next city, Sonal Mansingh gave solo performances, workshops and lectures at prestigious venues like Davidson College (North Carolina), Emory College (Atlanta), at Columbia (South Carolina), the Hindu Temple (Atlanta), at Charlotte (North Carolina). She then proceeded to Canada where she performed in Toronto, Montreal and Ottawa for South East Asian Studies Department and McGill University etc. Senators and Congressmen in many places felicitated her as a messenger of Peace and Beauty in times of violence and aggression. Surprisingly, while every other event and programme in those weeks was cancelled in the USA, Sonal's engagements were successfully re-scheduled by every organiser. "My dear Sonal, I am writing to express my sincere appreciation of the magnificent performance of Bharata Natyam by you, the other evening. Thank you very much for a beautiful evening. The dancing was simply exquisite. My children and I were enamoured by the recital. At least for a short while, I was able to move away from the trouble and turmoil of the human world to a more exalted heavenly plane of blissful serenity. It is such memories that I treasure in life. It was a privilege to have a private performance by a great artiste of your calibre, enhanced by the sumptuous dinner and warmth of your conversation." After participating in World Dance Alliance Asia-Pacific 2001 Conference on 6-8 June 2001 in Singapore, she had performance-demonstrations in Indonesia and Malaysia. 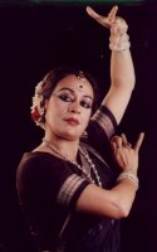 In April / May 2001 she danced at UNESCO, Paris, for International Dance Day and for Uday Shankar Birth Centenary celebrations following which she gave lecture-demonstrations at Nehru Centre and Bhartiya Vidya Bhavan, London. In August 2000, she participated in the World Dance Conference 2000 in Tokyo. Her joint Lecture-Demonstration with the NOH Master Hideo Kanze, "the living national treasure of Japan" on the salient features of Odissi and NOH at the International House of Japan, Tokyo, created history because never before has such an event taken place. Her tour of North America in 2000 with performances, lec-dems and lectures at University of Minnesota in Minneapolis, Washington DC, at McGill University in Montreal and Museum of Civilisations in Ottawa (Canada), have been widely acclaimed in artistic as well as academic circles. She is the first artiste to take a cultural troupe to perform for the Jawans in Kashmir during the 1999 conflict. Twenty-six musicians and dancers performed classical, contemporary, folk dances and music set to classical and patriotic songs. She is the only artiste to have visited Army Base Hospital at Srinagar and at Kargil where she spontaneously sang songs and recounted antidotes. In April / May 1999: Special choreography for Bravery Awards - "11 City Tour"
In March / April 1998 for the Japan Foundation Tour in Japan, she gave a special performance for Suzuki to celebrate Golden Jubilee of India's Independence - Hamma Matisu, and a special performance at the International House of Japan, Tokyo. In February 1998, she presented ‘Draupadi’ at the International Festival of Perth, Australia. October: Meera: Shattering The Silence, a special program for UNIFEM. Performance at All India Festival of Odissi at Bhubaneshwar. November: Special performance for Baudha Mahotsav at Sarnath. December: Manavta - Look Within, a special choreography for International Day of Human Rights. A unique choreography on themes of Child Labor, Women Empowerment, prisoners' Right and Rights of Indigenous People - a work with life - term serving convicts of Tihar Jail, New Delhi. Sonal is a Member of the Executive Board and General Council of Sangeet Natak Akademi, National Cultural Fund, Ministry of Culture. More recently she has been appointed a Trustee of the largest institution in India, the Indira Gandhi National Center for the Arts (IGNCA). For two decades and more, Sonal Mansingh has danced on 26th January, Republic Day of India. That was the day when modern India regained her identity. A celebration of this significant event through dance and music, thought and practice has become a tradition that Delhities look forward to every year. On 21st January 2002, Sonal Mansingh presented "MUKTI" (Liberation) at 7 p.m. in the Main Auditorium, India Habitat Center, New Delhi. After Jiwan Pani’s death, Sonal Mansingh and her Center for Indian Classical Dances have organized an annual memorial festival in his honor. Keeping in mind the scholastic works of Jiwan Pani, the dance festival every year is designed to promote a lesser known but vibrant dance tradition of India. The first year featured Birju Maharaj and Sonal Mansingh in a dual performance. The second year was devoted to poetry interpreted in different dance forms, which featured Saswathi Sen and Birju Maharaj in Kathak, Aruna Mohanty and Rashmi Ranjan Jena in Odissi among others. The year 2000 featured facets of Odissi tradition, which has inspired the contemporary Odissi form. On 7th and 8th November 2001, Sonal Mansingh held the IV JIWAN PANI MEMORIAL FESTIVAL at the India International Center in New Delhi. The focus was on Chhau and three troupes of Chhau Dances from Mayurbhanj, Seraikella and Purulia participated. Interactions with eminent scholars like Sharon Lowen, Santosh Nair and Shoba Deepak Singh on Chhau’s influence in contemporary dance and theatre preceded the two evenings. Sonal Mansingh is the youngest recipient to receive the PADMA BHUSHAN awarded by the President of India in 1992. Besides, she has received several other honors for her contribution to dance, a few of which are listed below. : Sanatam Nritya Samman 1995, Delhi from H.E. Sri Anerood Jugnath. Hon'ble Prime Minister of Mauritius. Sonal Mansingh was felicitated on 1st May 2002 at India Habitat Center, New Delhi, on her 59th birthday as well as completing 40 years of dancing. On this occasion, a documentary film on her, titled SONAL, directed by Prakash Jha was released. She is today the acknowledged master of interpreting India through dance and related artistic traditions. Sonal has been called a philosopher among dancers, one who has lived dance, experienced the many splendoured layers and their inter-connections, one who is constantly reinterpreting and relocating dance in the vortex of the contemporary world. This she is able to do because she has traveled widely, seen and assimilated myriad dance and art-traditions of the world. For Sonal, the universal message of artistic traditions is an extra factor binding diverse cultures and societies. She believes that countries can come close together in a global atmosphere of friendship and mutual respect through intracultural understanding. Increasingly, Sonal Mansingh's creativity and skills as researcher, orator, communicator and teacher are being recognized the world over for she embodies the essence of Indian culture according to critics and connoisseurs alike. Through seminars, round table discussions, writings, teaching workshops and lectures, she shares her perception and concerns. When Delhi hosted a two-day seminar on "Women, Environment and Culture", Sonal was the keynote speaker. Dance can be the medium through which she can present the viewpoint of those who often do not get a platform to speak. "Social Transformation through Dance" is her credo. Few know that Sonal Mansingh is a Gujarati, though she has been based in Delhi for more than 30 years. Delhi has always been her base though she moved for a short while to Canada after her second marriage to a German, which also ended in a split. But Sonal’s spirits are unbroken and she continues to do her riyaz everyday, perfecting every stance with faultless precision. Yoga, brisk walks and a terrific sense of humour have helped Sonal achieve balance and keep pace with the changing times.